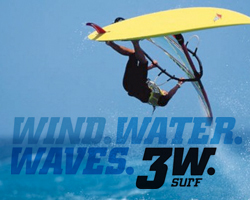 The 3w-windsurf center at BoaVista next to Bahia Beach Bar offers newest 2010 equipment for rent and windsurfing courses from beginner to advanced level . Our spot offers good winds, long sandy beach, flat water or long 1-2m waves. Beginner courses take place in a shallow lagune with perfect flat water.